together. Different groups find varied ways of doing that. x A CLIQUE. Healthy small groups are always open to newcomers. x An ORGANIZATION. 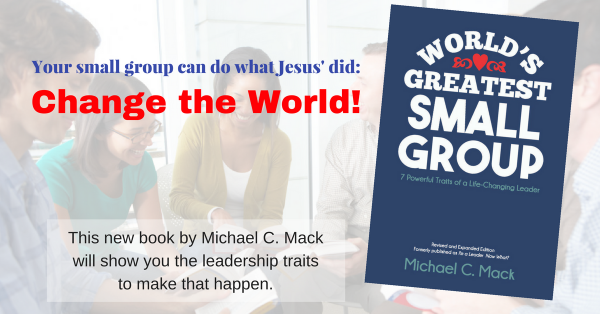 A healthy small group is a living organism. It is the body of Christ. x ONE DAY A WEEK. A healthy small group is more than just a meeting. The members of the group share life together as a family. The meeting is family-reunion time. The rest of the week, group members naturally pastor one another – visiting, making phone calls, having dinner together, serving together, shopping together, etc. In truly life-changing groups, members meet together regularly and spontaneously. x A CLASSROOM. Healthy small groups practice Colossians 3:16: “Let the word of Christ dwell in you richly as you teach and admonish one another with all wisdom.” The group leader is a shepherd rather than a teacher. He is not the group’s answer man. x A ONE-MAN SHOW. Healthy small groups are teams where everyone has a role. x Just a BIBLE STUDY. Healthy small groups study God’s Word with an eye to apply it to our everyday lives. “Knowledge puffs up, but love builds up” (1 Corinthians 8:1). “Do not merely listen to the word, and so deceive yourselves. Do what it says” (James 1:22). Healthy small groups should do “Bible do’s” as much as Bible study! x JUST A PLACE TO LEARN AND TALK ABOUT GOD. A healthy small group meets in Jesus’ name and for His purposes and experiences God’s presence when they gather. (Matthew 18:20). He ministers to and through the group. He is the real power for the group. His purposes are the group’s purposes. x A BAND OF RENEGADES. Each group is interconnected with other groups and with the overall mission and ministry of the church. Leaders receive support and training. They are accountable to leadership to keep things on track. The group is an integral part of the whole body of Christ. What do you think of these? Would you add any of your own?